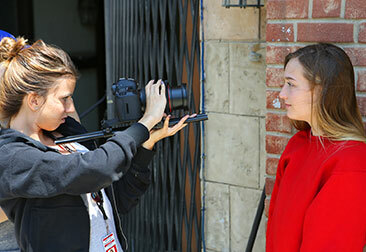 In the 2-Day Holiday Acting for Film Camp for teens, students are immersed in the basics of acting for film, scene study, and audition technique in an intensive, hands-on program. Applying the information learned in class, students rehearse and film their scenes against the backdrop of Battery Park in Manhattan or the Universal Studios backlot in Los Angeles. The immersive and active nature of our camp means that even in this short time, campers will develop new skills and come away with original work of which they can be proud. Completed scenes are edited by New York Film Academy staff and delivered to students following the workshop.